The current software update gives you the most up to date Android® security patch on your device. Tap Yes, I'm in to start downloading the software update. Once the software update has finished downloading, Tap Install now. Your phone will restart automatically after the install. You've successfully updated your phone. Tap the Settings icon in the apps menu. Once the software update has finished, tap Install now. If you don't have a strong connection to Wi-Fi or the Verizon Wireless network, you may not be able to perform a software update over the air. Instead, you can connect your device to a computer with Internet access. Connect your device to your computer using your USB cable, then download the Software Upgrade / Repair Assistant tool to your computer, which will check for software updates and initiate the software update process. Verizon Wireless is pleased to announce a new software update for your Droid Turbo. Android 6.0 Marshmallow improves your mobile experience with new battery-smart features and enhanced app permissions that give you even more control. Now on Tap provides instant information, anticipating what you need in the moment. With a simple tap, you can get cards with useful information and apps that feed your need to know. 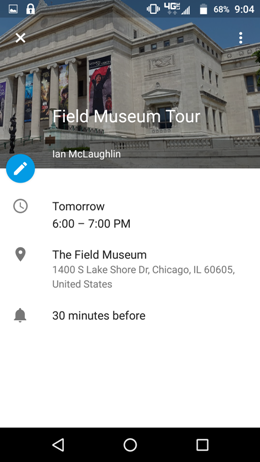 For example, if you open up the Calendar app and it has an appointment to meet at a Museum, just hold the home button and information about the Museum will be available to peruse. Once done, you'll go back to the Calendar app. *Now on Tap is supported in English only. To change the language on your device, open Settings from the apps tray and scroll down to Language & input.